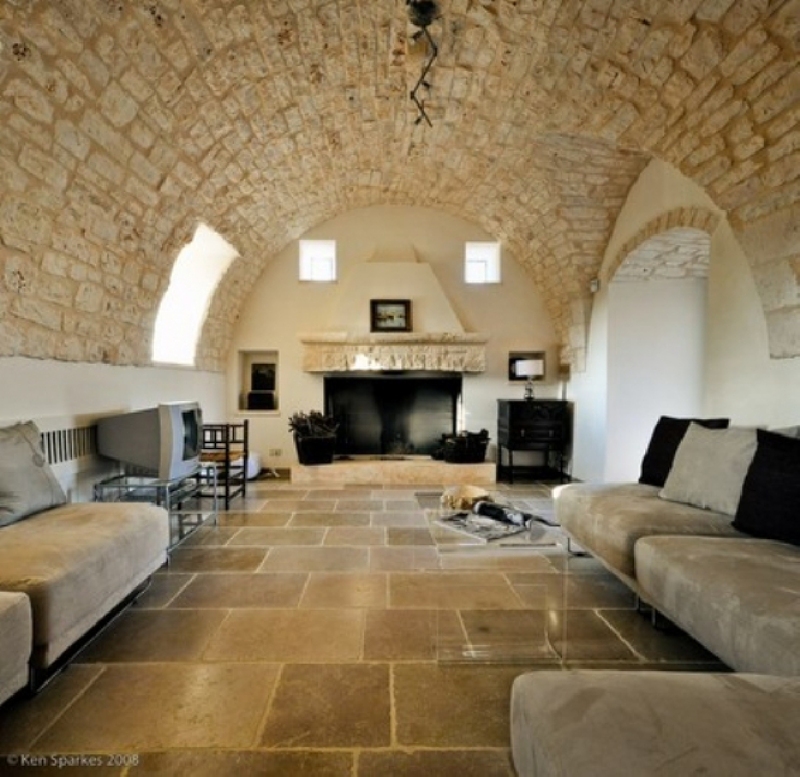 -The ground floor consists of a living area with a living room with fireplace, kitchen-dining area, a study, bathroom and laundry. 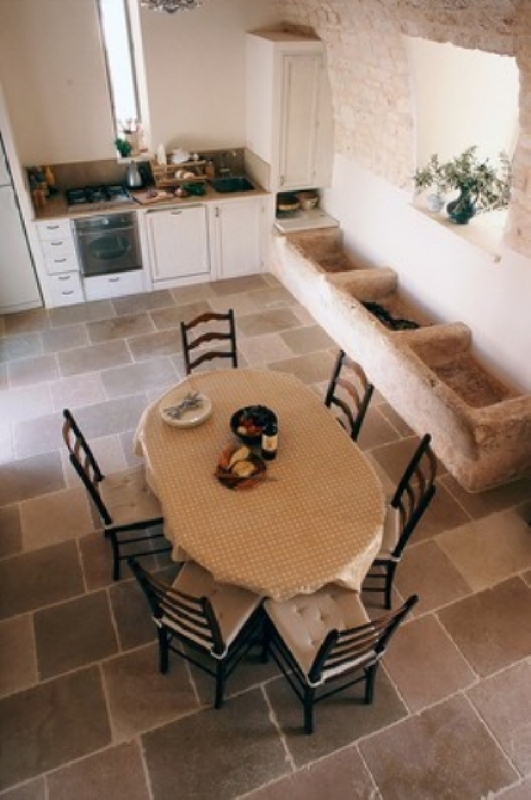 -The first floor consists of 3 bedrooms and a bathroom. 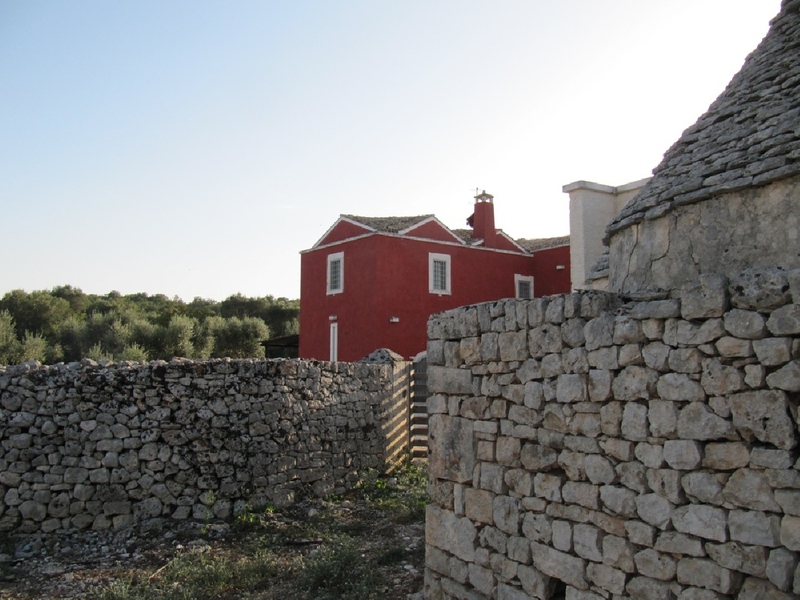 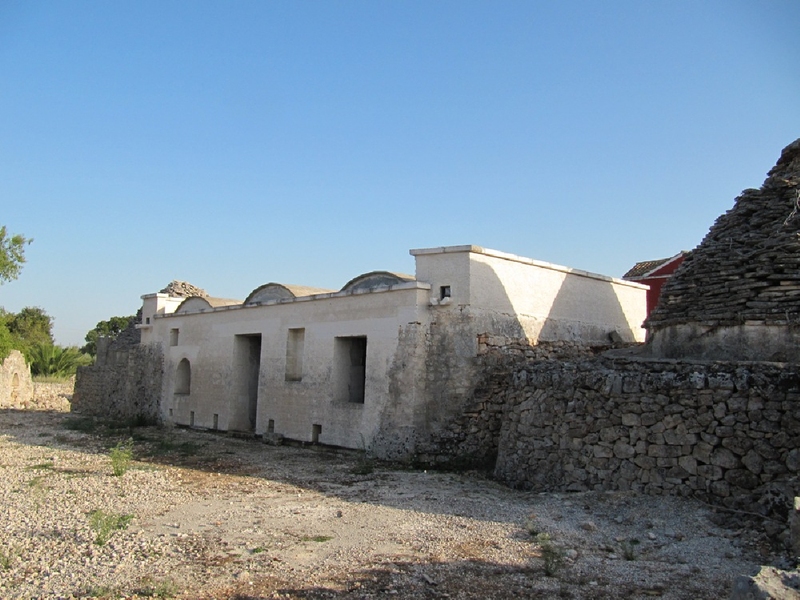 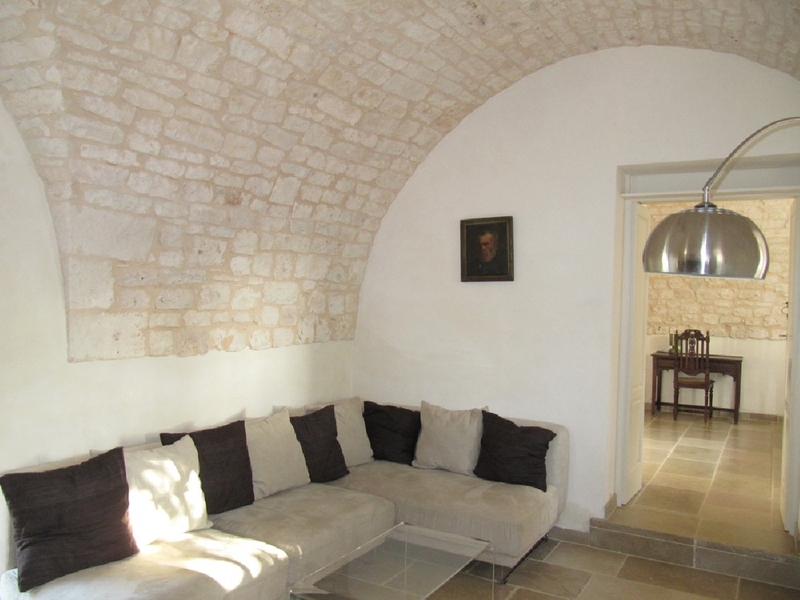 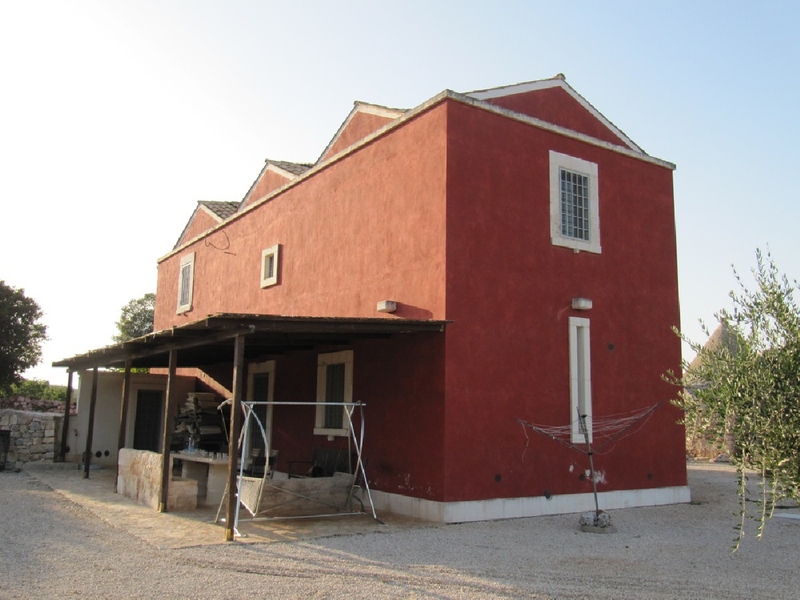 Few meters away there is another building that could become a structure with a large living area, a kitchen, 2 bedrooms and 2 bathrooms, as well as the Trulli aerea that consists of 3 cones with a bathroom and outdoor courtyards. 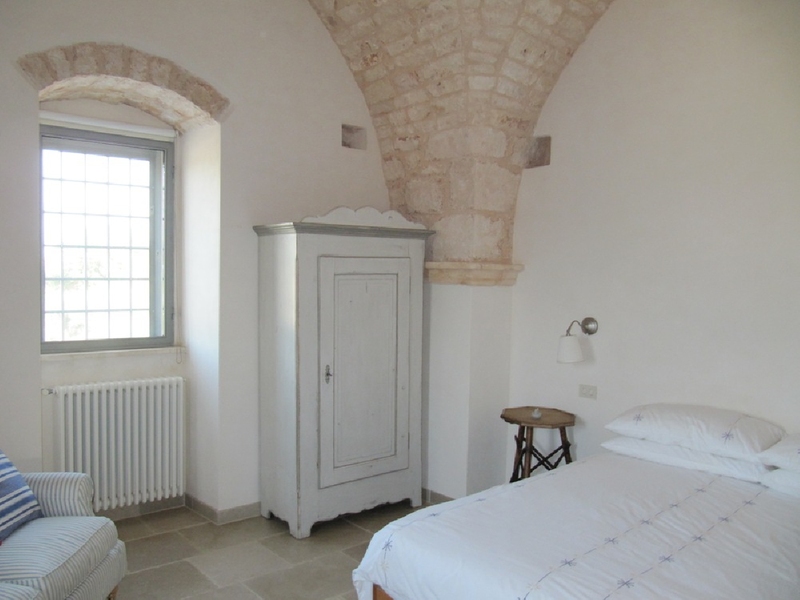 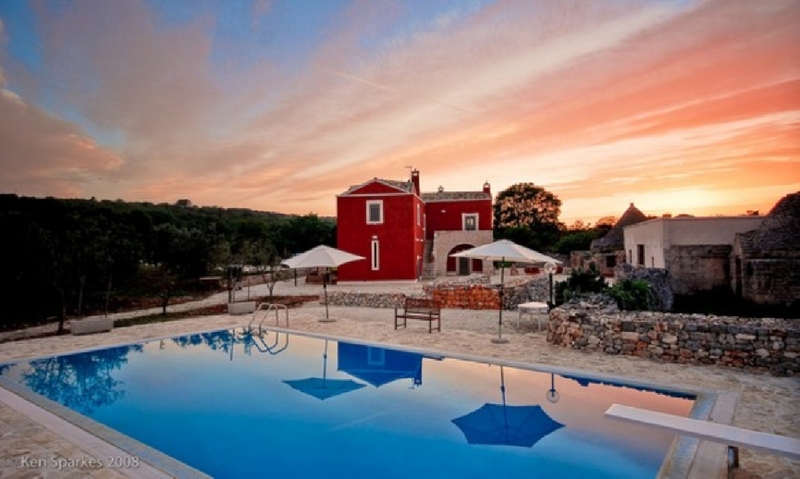 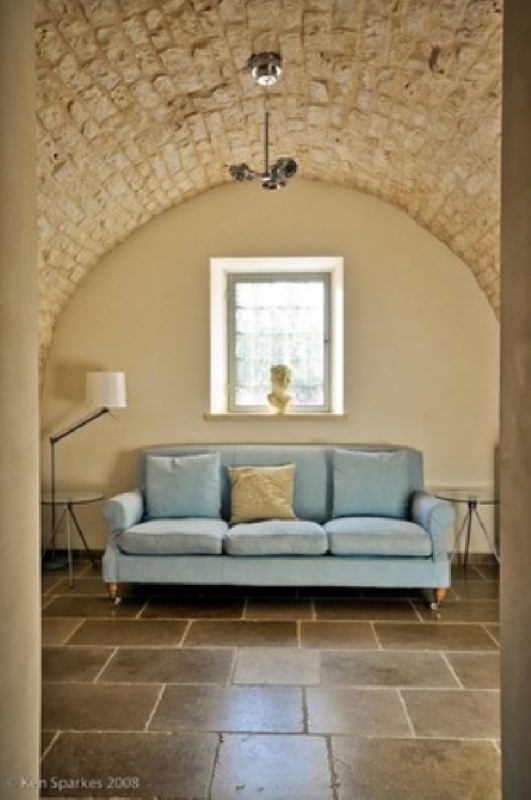 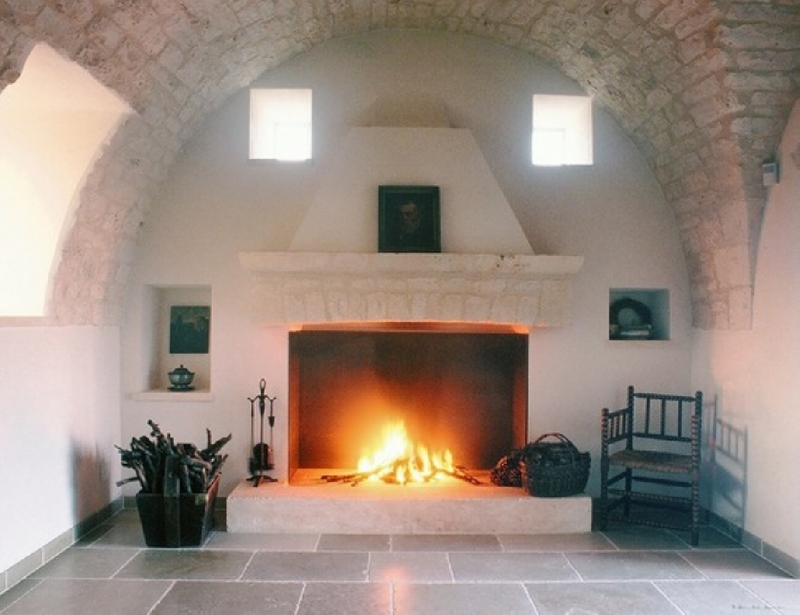 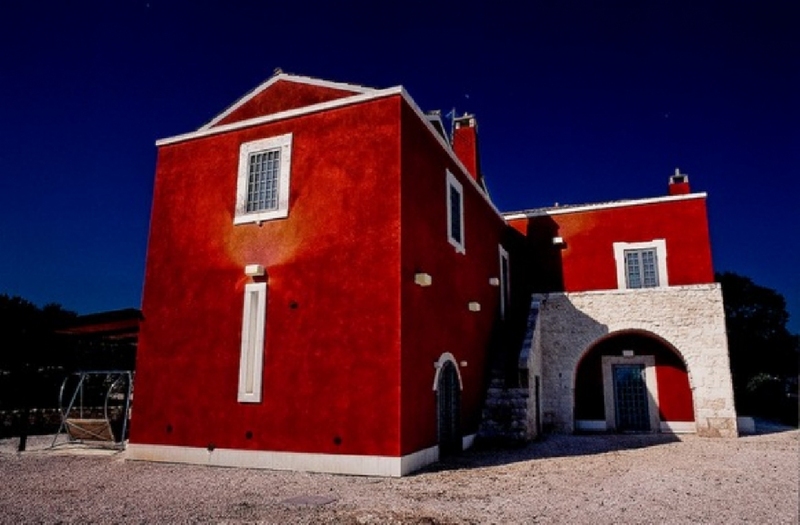 The ceilings are vaulted and barrel and are made in stone; from every room it''s possible seeing a panorama of the countryside with beautiful olive groves. 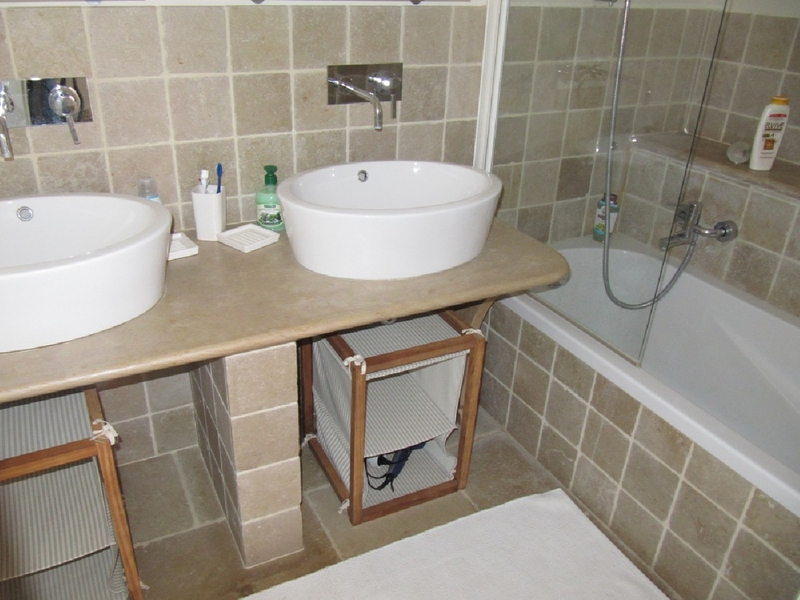 Characteristics are the ancient troughs of the animals that have been left as they were before. 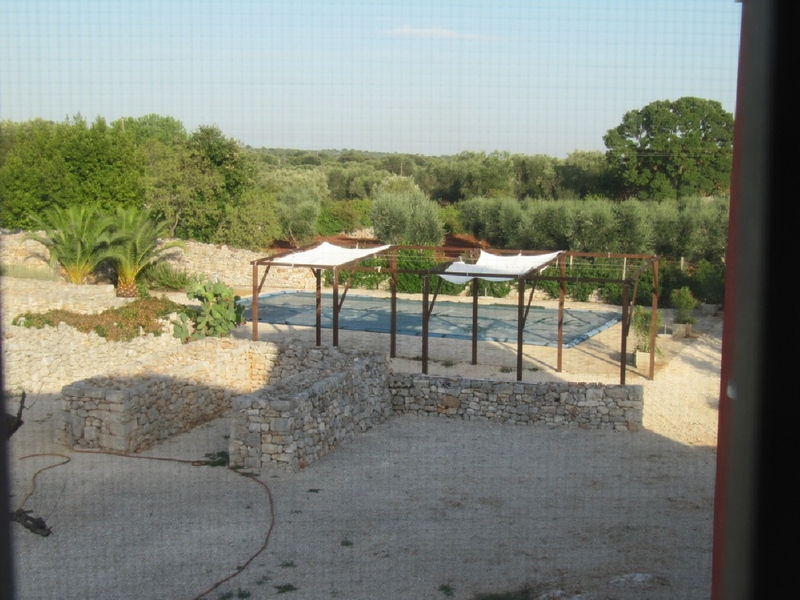 Netled in the countryside there is a beautiful tidy and well-kept garden with a relaxing swimming pool. 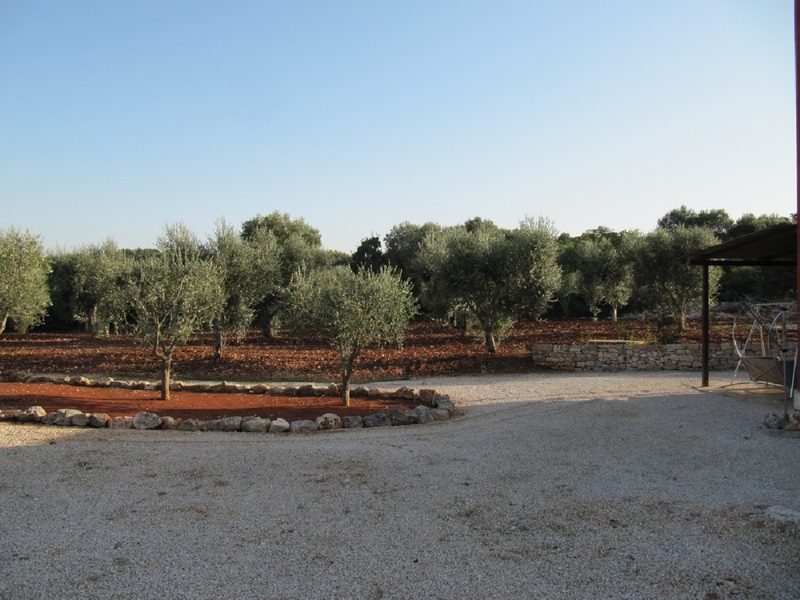 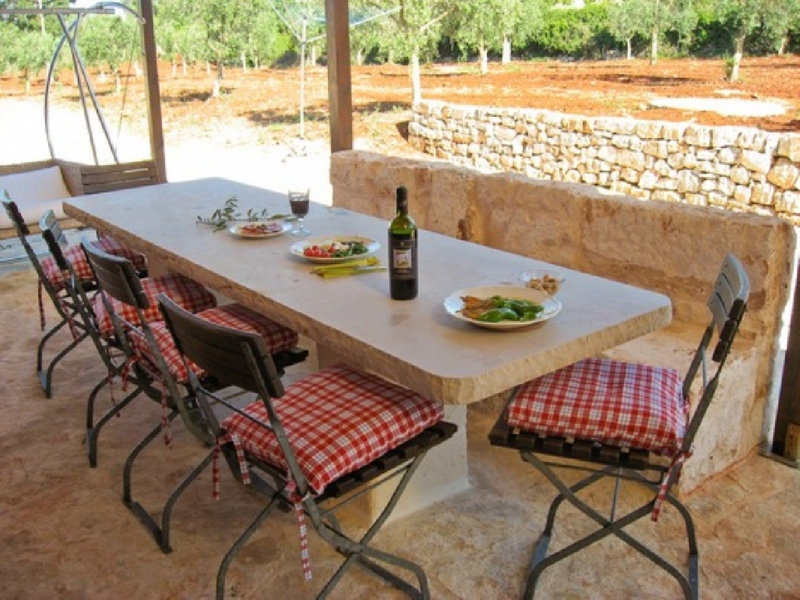 The property is located in quiet and reserved area, ideal for charmfull private residence and also for bed and breakfast business in direct contact with nature.The land is about 17,000 square meters and is planted with olive, almond and fruit trees.